Chief executive of the Freight Transport Association (FTA) David Wells is seeking to arrange a meeting with newly-appointed London mayor Sadiq Khan for the coming weeks. With the aim of discussing the important role of the UK logistics sector in providing benefits not just for the people of London but for the UK as a whole, the meeting will focus on addressing concerns that the body has regarding the mayor's planned policies for the coming years. Mr Wells stated: "The logistics industry is working – and succeeding – in improving its record on safety and emissions in London but more can be done, and crucially we believe it can be achieved without adding any unnecessary cost to London life and development. "I must be honest and say that, given calls for simplistic HGV bans, the way policy may develop in London concerns our 15,000 member businesses more than almost any other issue in the UK." Indeed, measures already put forward by the new London mayor include the introduction of a new charge for vans and lorries entering central London by 2017, with the aim of improving overall air quality. At the same time, the mayor has expressed interest in creating a requirement for all vans and lorries to be Euro VI/6 across inner London by as early as 2018. 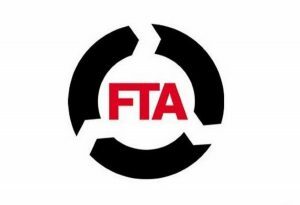 However, the FTA believes that while these proposals could have far-reaching benefits for the city, they also represent a considerable cost to many hauliers and firms, with some businesses likely to be far worse off in the years ahead under such a regime.